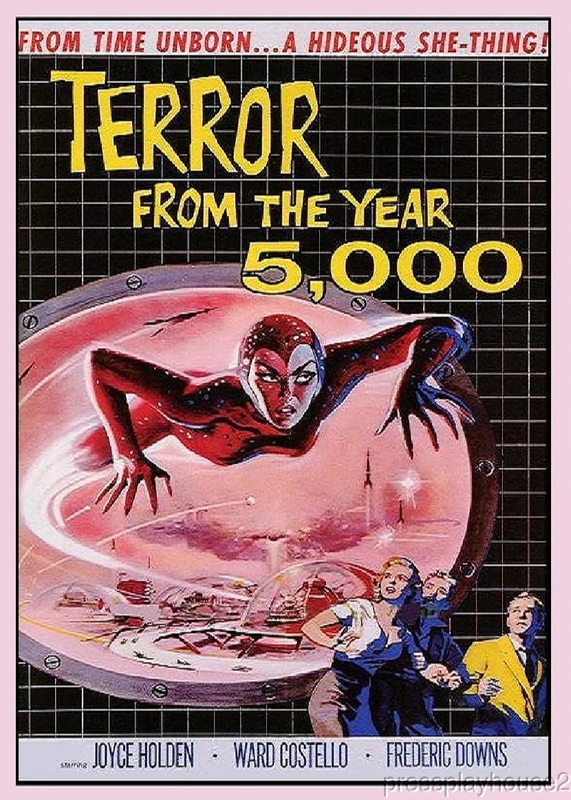 Terror From the Year 5000: Dvd, 1958, Salome Jens, Joyce Holden, Ward Costello,The Great 50s Cult Sci-Fi Classic!! DIRECTED BY: ROBERT J. GURNEY JR.
BRIEF PLOT SUMMARY: AFTER RECEIVING A GOLDEN RADIOACTIVE STATUETTE FROM THE YEAR 5200 IN THE MAIL, FELLOW SCIENTIST (COSTELLO) TRAVELS TO A REMOTE ISLAND LABORATORY WHERE A TIME MACHINE HAS BEEN BUILT. COMMENTS: ONE OF THE GREAT 50s SCIENCE-FICTION LOW-BUDGET CLASSICS. BEST PICTURE QUALITY AVAILABLE!